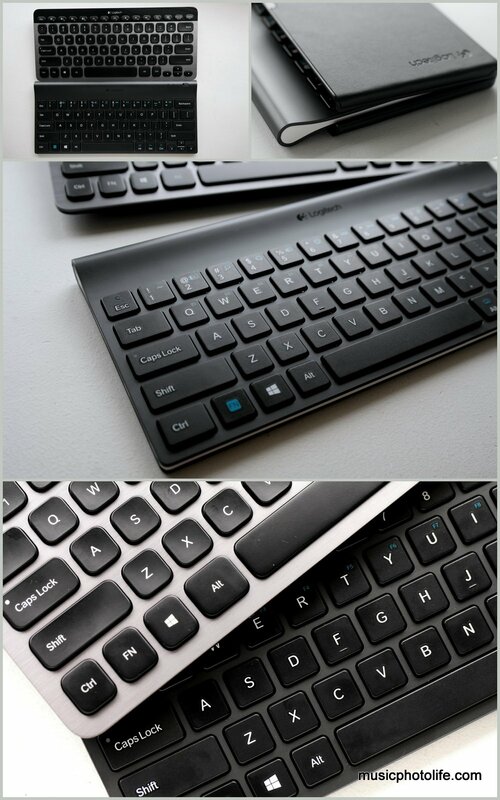 Product Information: The Logitech Tablet Keyboard is a lightweight, combo keyboard and stand that travels easily, sets up quickly and does double-duty. Its carrying case protects against damages while you’re traveling and converts into a sturdy stand for your Windows 8 or Android tablet. 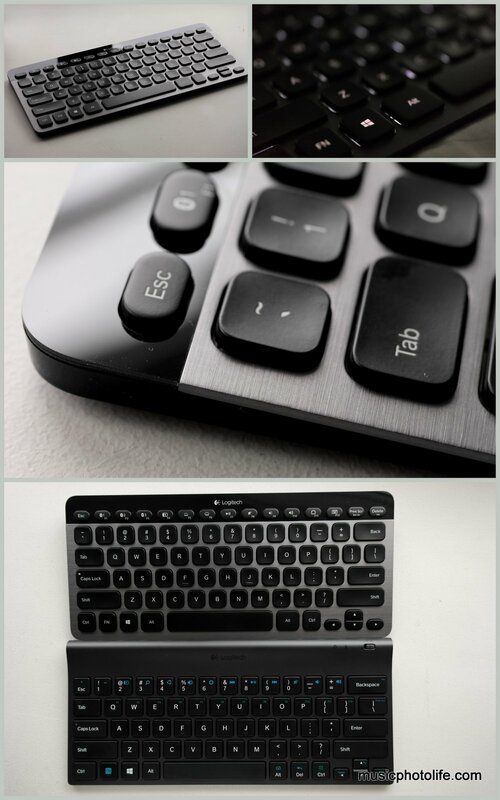 And the keyboard pairs easily with your tablet over Bluetooth wireless so you can use it at your desk, on your lap or within 30 feet of your device. My Review: This keyboard is made for lugging around, thanks to the convertible hard-case premium sleeve that can be folded as a sturdy stand for large tablets. The sleeve exterior is leather-wrapped and its interior is fabric-laden, offering good protection for your priced investment. Running on 4 AAA batteries means it’s easy to replace them when needed. Keyboard action is good and firm, and there are ample shortcut keys that work with Windows and Android devices. For instance, the 4 Windows 8 “charms” actions, Android’s 3 soft keys, music playback and volume buttons. Though with only 5 rows of keys, you can invoke the F1-12 with “FN” key. You can also connect the keyboard to Macbook but some function keys might not work. There are many low-priced Bluetooth keyboards in the market (like this), the Logitech Tablet Keyboard connects to your device a lot faster, the keys feel better, the build is better, and comes with a useful hard case. Highly recommended and in my to-buy wishlist. Battery life: 10 days with backlight, 1 year without backlight. Built-in battery rechargeable via micro USB. Product Information: The Logitech K810 makes multi-tasking easy with one-touch switching among devices such as your PC, Ultrabook, tablet or smartphone, regardless of the platform. Its keys are backlit with bright illumination that automatically adjusts to any light, and its built-in sensors detect your hands’ approach, turning the illumination on or off accordingly. Recharging the keyboard is made simple by plugging in the USB cable, and you can even recharge it while you type. Its real brushed-aluminum design and minimalist size will fit both your style and your desk space. My review: A beautifully crafted product, the K810 offers a convenient solution to a multi-device problem. With one single keyboard, you can pair 3 Bluetooth devices and use the same keyboard with all the devices. Pairing is fast: just press the “Connect” button behind the K810 and press one of the 3 Bluetooth device buttons. I can even pair to a generic Bluetooth 2.0 USB dongle plugged to my laptop. Switching among the paired Bluetooth devices is rather fast, the keyboard size is just nice for me, and the keyboard action feels firm and responsive, though a tad harder than the normal keyboards. In reality, having one keyboard to use for multiple devices might not be a good idea. As I found out myself, I often forget to switch the Bluetooth connection and end up typing onto the wrong device. And among the new Logitech keyboards I have tested, the K810 contains the least OS-dedicated shortcut keys and alternative FN keys. For instance, there are no “Home”, “Pg Up”, “Pg Down”, context menu (right-click) keys. Between the 2 keyboards, my vote goes to the Logitech Tablet Keyboard because it is more affordable and better-value with an extra case accessory that comes in handy to use on the go. The K810 feels more premium thanks to its gorgeous backlight keys, and it caters to home-use consumers who prefer minimum devices on their work desks.